Summaries of famous and significant insanity-defense cases, from the trial of the house painter who shot U.S. President Andrew Jackson in 1835, to the case of Andrew Goldstein, a diagnosed schizophrenic who killed a woman just weeks after he was released from a psychiatric ward. 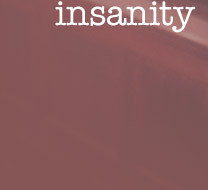 A state-by-state chart showing the legal standards for insanity, "guilty but mentally ill," and other statutory provisions relevant to insanity-defense cases. In November 2000, President Bill Clinton authorized the development of up to 100 pilot "mental health courts," modeled in part on an innovative Florida court that hears cases involving mentally ill defendants accused of non-violent offenses. Here's background on the legislation and its limitations, and a preview of what Congress may have in store for the current session.